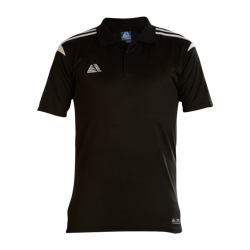 All football clothing offered by Pendle is manufactured to industry leading quality standards. For over 40 years we have specified only these standards to all our manufacturers, which are then fully tested by industry leading specialists. By designing and sourcing our own products from the factories and then selling direct to all our customers means that we can keep a very tight control on the quality of all our football clothing. We are also incredibly proud to have been awarded ISO 9001 certification for our quality management systems attributed to the design, customisation and supply of football kits. We always carry huge stocks to ensure that our normal lead time for a fully printed team kit is only 2 working days from confirmation of artwork. Uncustomised items are also despatched the same day if ordered before 2.00pm, which is a fantastic service for top up kits required urgently. In addition, as all our football clothing is designed in house and sourced direct from the factories, the cost savings generated by not using a middleman means that all of our products provide arguably unbeatable value for money. It is no surprise that many amateur and some professional clubs have all chosen Pendle.